To honor individuals whose contributions to the betterment of humanity have been accomplished in or on behalf of the State of Illinois, or, whose achievements have brought honor to the state because of their identity with it, whether by birth or residence, or by their dedication to those principles of democracy and humanity as exemplified by the great Illinoisan whose name we bear. To honor senior students at each of the four-year, degree-granting institutions in Illinois for overall excellence, in both curricular and extra-curricular programs. By celebrating the Great Citizens of Today and encouraging the Great Citizens of Tomorrow, the Academy acknowledges that our state and nation continue to need what Vachel Lindsay called “Lincoln-hearted” men and women. 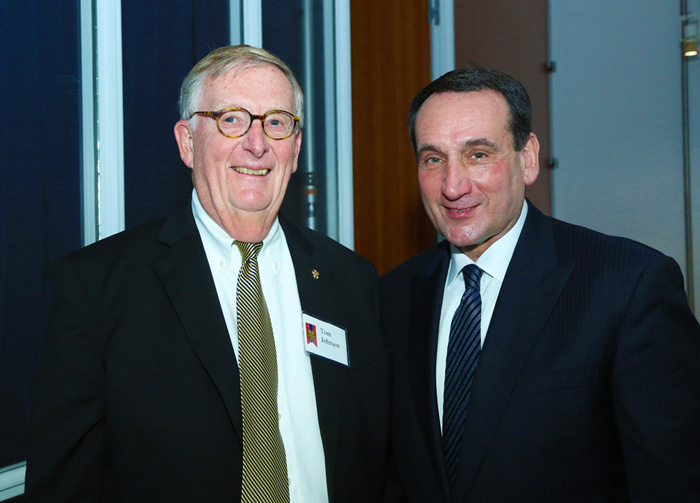 Michael Krzyzewski (“Coach K”) is the head men’s basketball coach at Duke University. Under his leadership the Blue Devils have won 13 Atlantic Coast Conference Tournament Championships, qualified for 11 NCAA Final Fours, and won four National Championships. He also coached the United States Men’s Basketball team to gold medals in the 2008 and 2012 Olympic Games. 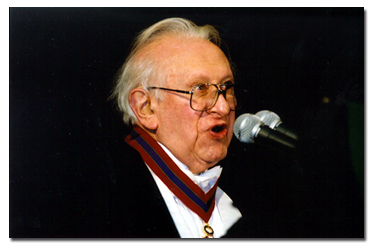 In 2006, he opened the Emily Krzyzewski Center in honor of his late mother — where he serves as Chair of the Board. In addition to his work with the Emily Krzyzewski Center, he and his wife, Mickie, also have been active in fundraising and support of the Duke Children’s Hospital, the Children’s Miracle Network, and the V Foundation for Cancer Research. Jacqueline “Jackie” Joyner-Kersee is ranked among the all-time greatest athletes in the women’s heptathlon as well as in the women’s long jump. She won three gold, one silver, and two bronze Olympic medals, in those four different events. She was voted the Greatest Female Athlete of the 20th century. Jacqueline Joyner was born in East St. Louis, Illinois. 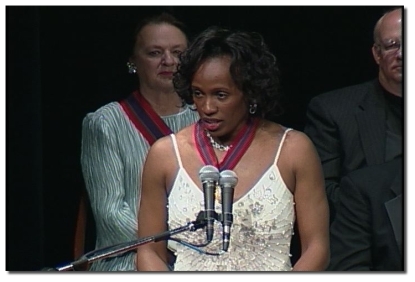 Joyner-Kersee established the Jackie Joyner-Kersee Foundation, which provides youth, adults, and families with the resources to improve their quality of life with special attention directed to East St. Louis, Illinois. Bernard Shaw is from Chicago and attended the University of Illinois at Chicago. 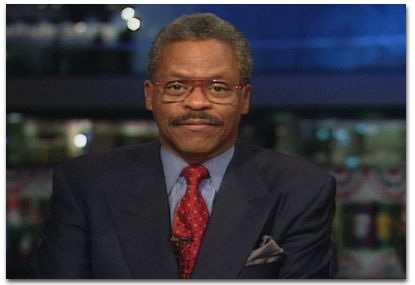 As a broadcast journalist he worked for CBS and ABC, but is most widely known for his work at CNN where he was Principal Anchor starting in 1980. While at CNN he hosted a Presidential debate with G.H.W. Bush and Dukakis. He also reported live from the Al-Rashid Hotel in Baghdad during the 1991 Gulf War while cruise missiles flew by outside his room. Louis “Studs” Terkel was an American author, historian, actor, and broadcaster. He received the Pulitzer Prize for General Non-Fiction in 1985 for The Good War, and is best remembered for his oral histories of common Americans, and for hosting a long-running radio show in Chicago where he lived the majority of his life.